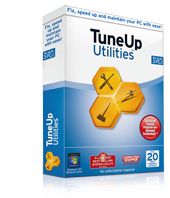 TuneUp Utilities is a great advance system tweaking and optimizing software for windows. It can fix many system problems and speedup your computer by just few clicks. Fix the most common Windows problems, scan your hard disk and restore deleted files. For limited time TuneUp Utilities UK in partnership with Computershopper is providing full version of TuneUp Utilities 2010 absolutely free. All you need to do is fill a simple form here. They will send a mail to conform your email. When you click the conformation link you will reach a page with your key. So, its hardly going to take 2 minutes to get a great software worth US$ 49.95 for free! !